Happy Friday loves! I'm closing out the week with a new beauty post. 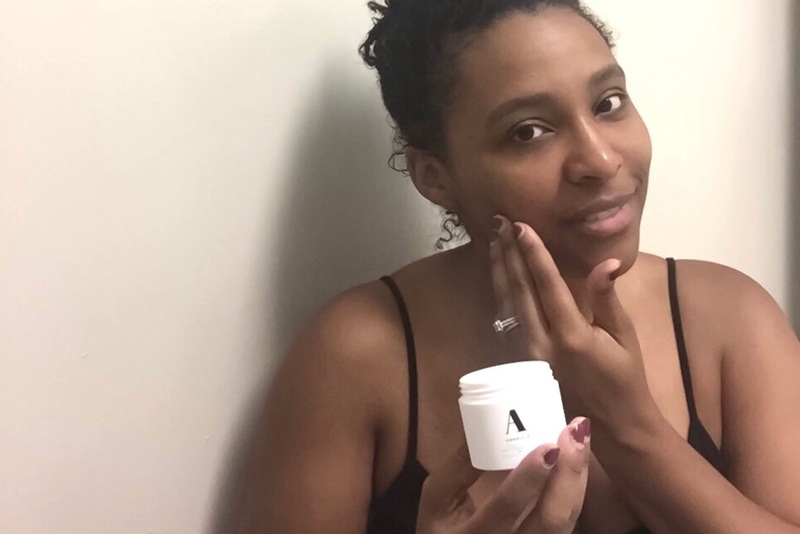 I wanted to share with you guys a new skin care line I recently tried and I'm loving it. I'm always up for trying out new skin care products because taking care of my skin has always been a priority for me. I can't believe at the end of this year I'll be turning 32, (yikes) so you better believe I'm constantly taking care of my skin. I have good genes and I hope to age gracefully like my mom and she has always been a skin care junkie, even to this day she still is. I'll be following your footsteps mom! 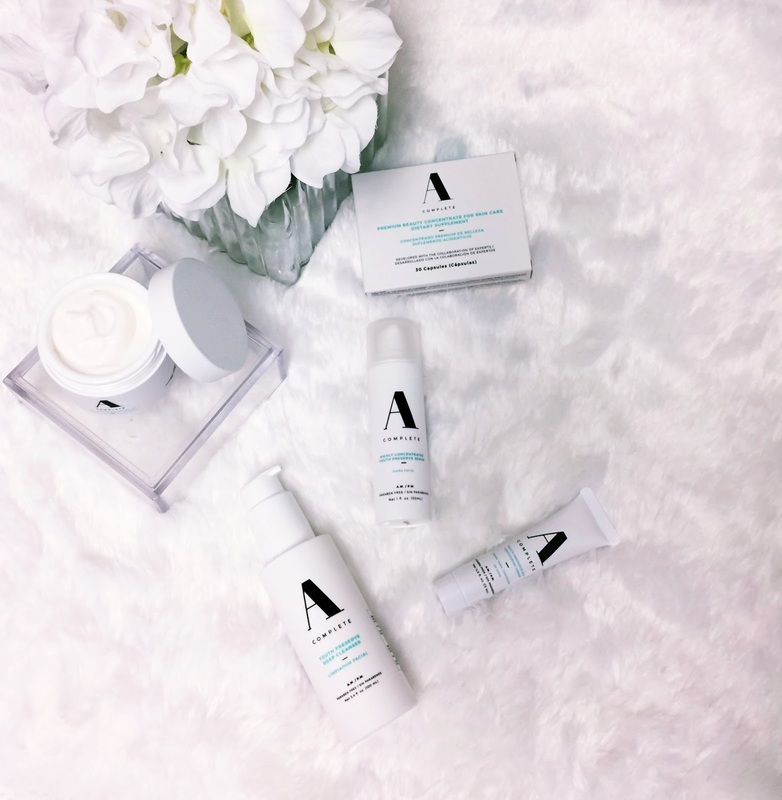 I received a full set of A Complete Skin Care and before I get into the products I want to share with you a little about the brand. The founder is a Latina named Angelica Fuentes and her brand is committed to complementing a woman's true beauty inside and out. A portion of her revenue gets donated to incentives that encourage women's empowerment. To me that's amazing! I love bands with a mission and an amazing purpose. The line contains 5 multi-functional anti-aging products. Whenever I hear the word anti-aging I'm always down to try. The moisturizer cream is my favorite because it smells amazing and doesn't leave my face greasy. It addresses fine lines and it's for all skin types. I have been using it in the morning after I wash my face and at night before bed. The eye contour cream and the deep cleanser have also been on repeat the last few weeks. They can be used day or night and also smell really good. The cleanser is a soap free cleanser that cleans and hydrates. It's perfect for removing that excess makeup. The last two items in the set were the serum and a 30-day dietary supplement for skin care. They have great benefits like preventing collagen degradation + also supports healthy hair and nails. I definitely loved the whole set and will keep you guys updated on my results via Insta-stories. Below is a list of the products in the set with links. They are available in a set or separately. Hope you guys enjoyed this skin care post. Share with me some of your skin care concerns below in the comments! Thank you A Complete Skin Care for making this post happened. As always all opinions are my own. Thank you for supporting the brands that work with Patty's Kloset. El cuidado de la piel es una de las cosas que siempre debemos tener en nuestra lista de prioridades. No conocía estos productos Patty, pero voy a ponerlos en mi lista para aprender más de ellos. These products look amazing! I really have to try them. Thanks babe! Let me know if you do! Surely going to include this in my skincare routine. When you take skincare as seriously as we do, you're always on the hunt for the game-changing skincare products like lifecell anti aging cream. You know the ones—those holy grail products that cut down prep time, restore your skin to its glowy angel potential, and keep it hydrated all year long. Click and find out more about the store's website!There are many beautiful dresses.jadegownshop formal dress belfast reviews You will love it! You see the ads on TV and magazines consistently... "xyz item contains natural this and natural that"... in any case, no say is made of alternate fixings that are contained in these items, a considerable lot of which have been appeared to be perilous to our wellbeing. The best hostile to maturing skin treatment will decrease these indications of maturing.! The purchasers of natural restorative items will in general structure a solid faithfulness towards the brand that they use and practically every one of them guarantee that they will never change back to "ordinary" angelina jolie beauty products corrective items until the end of time.